Living Levels and the Anglo-Oregon Brewing Company have launched Stank Hen, a new beer, to promote the distinct vocabulary and character of the Gwent Levels, and an exciting new volunteer project. 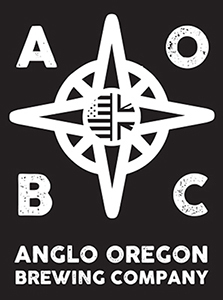 Anglo-Oregon Brewing Company (AOBC), a small craft brewery located on the southern edge of Newport on the Gwent Levels, have been producing traditional bottle-conditioned ales and stouts commercially since 2015. The founders of the brewery, Toby Jones and Tom Dalrymple, first began home-brewing together more than a decade ago and quickly developed a passion for making strong, dark stouts and hoppy ales. The brewery currently produces Smoked Porter, Premium Stout and India Pale Ale. These beers are carried at a growing number of locations around Newport, including Monusk Deli, Dutchys Jamaican Jerk Shack, the Cellar Door, the Newport Medieval Ship Project and the Waterloo Inn, Nash. Their latest beer, Stank Hen IPA, has been produced in conjunction with the Living Levels Landscape Partnership to celebrate and promote the Gwent Levels. The label features a colourful Moorhen which, in the unique and fascinating local vocabulary (‘Levels Lingo’), is known as a Stank Hen, named from the bird’s natural habitat in ponds created by small dams and in ditches, both known locally as ‘stanks’. ‘Levels Lingo’ provides an insight into the management of land drainage and flood defence during the last millennium, and the Living Levels Landscape Partnership is about to embark on an ambitious new volunteer project, ‘Recapturing the Historic Landscape’, which will explore the written records of that period. Under professional supervision, our affectionately named volunteer group, the ‘RATS’ (Research and Transcription Service) will embark on research projects that will help reveal the impact of tidal and fluvial flooding, the continuity of land tenure, settlement patterns, how the railway changed the landscape, and much, much more. Meetings to guide and help the volunteers will be held monthly starting in February 2019. If you’d like to join the RATS, please contact Alison Boyes, or click here to view the volunteer role description. Newer PostHistory 'RATS' start work to recapture historic landscapes of the Gwent Levels! Older PostNewport Wetlands celebrates ‘Big Skies’!